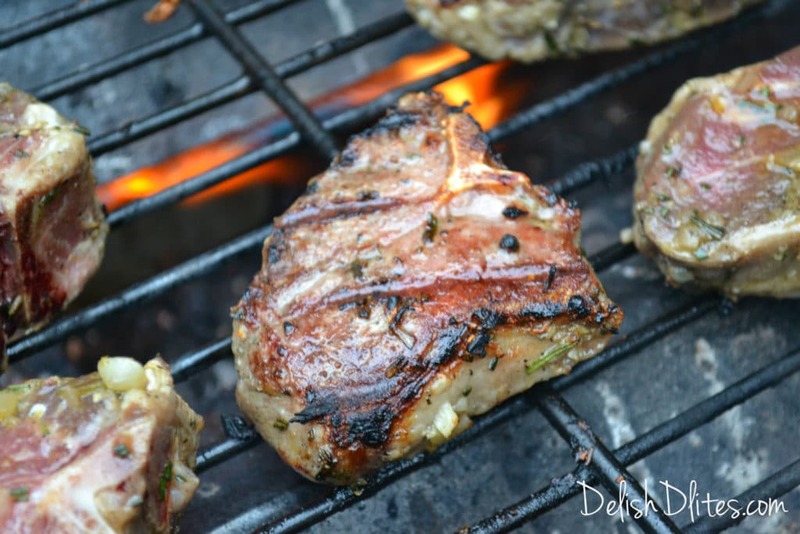 Spring is definitely the season for grilled lamb chops. If you’re like many in my family, you have a preconceived notion that lamb has too strong of a flavor. 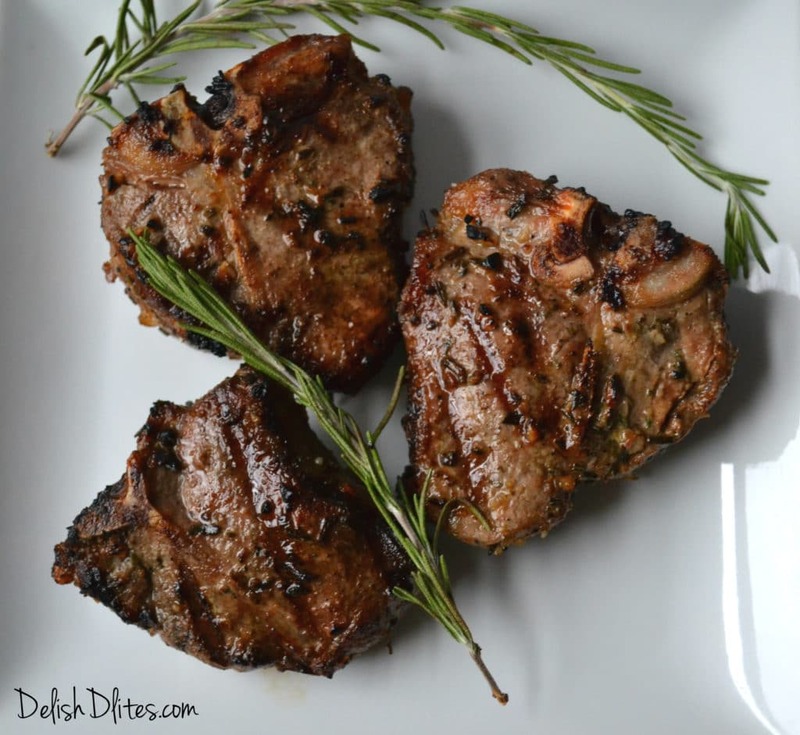 The real truth is that if most people had a taste of a good, properly cooked lamb chop, they would change their tune. I was one of those people that swore I wouldn’t like lamb, until I had the most delicious, tender and perfectly seasoned lamb chop. Since that moment, I’ve been hooked! 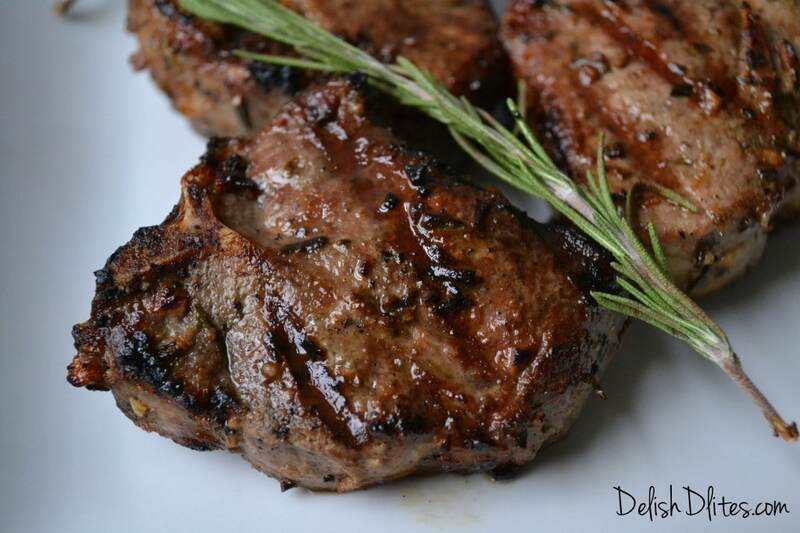 The important thing about lamb is that you have to know what ingredients compliment it’s unique flavor. 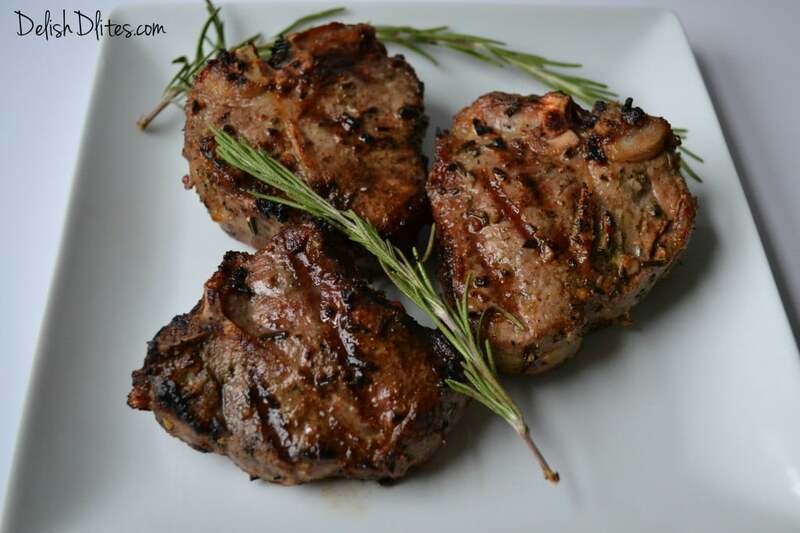 Lamb is excellent when seasoned with garlic, rosemary, thyme, oregano, savory, lemon, fennel, mustard and mint, just to name a few. If you’re working with a one or more of these flavors, you’re definitely headed in the right direction. Make sure the lamb is a good quality cut, as well. You’re looking a loin, rib or sirloin chop. If you get a shoulder or leg chop you’ll need to use a marinade to make it tender. The chops you choose should have a light pink/red, finely textured meat with smooth, white fat, and they should be a little bit more than an inch thick. 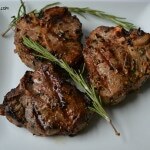 I’m partial to lamb loin chops, just because they look like tiny T-bone steaks, which makes them super cute. You can use your favorite cut (rib, loin or sirloin) for this recipe. 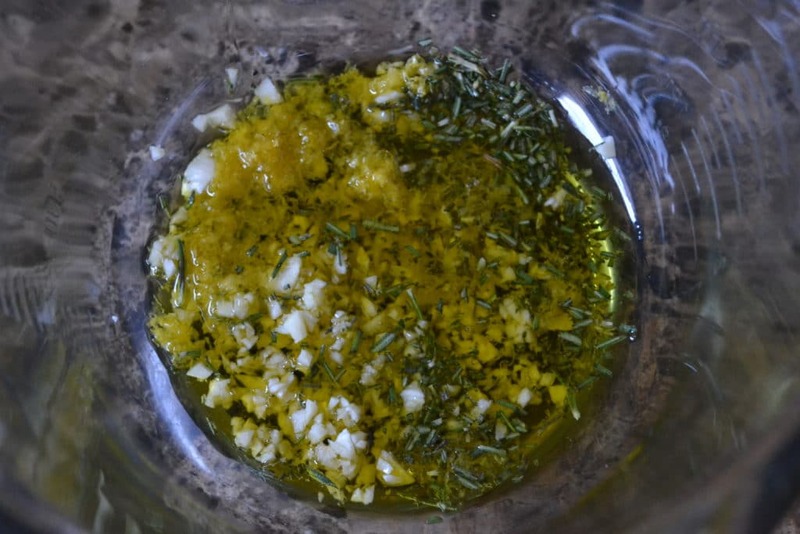 Combine the garlic, rosemary, salt, pepper, lemon zest and olive oil in a measuring cup. This will be the marinade for the lamb chops. 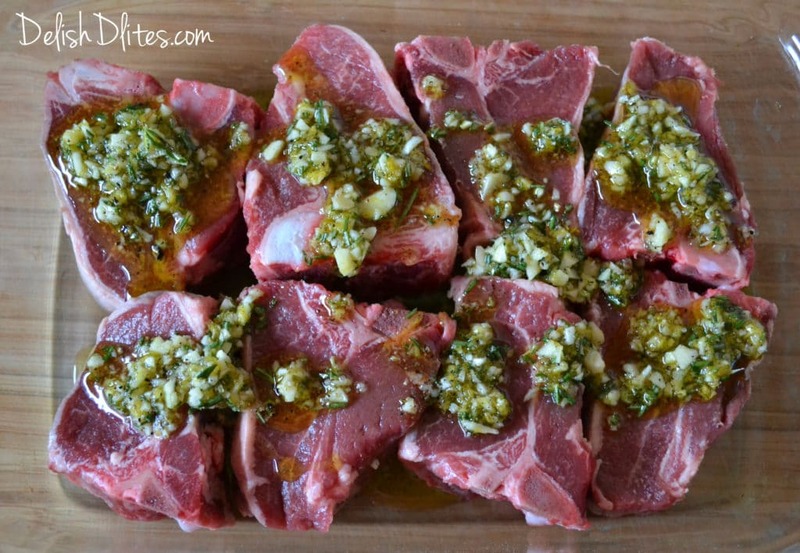 Pour the marinade over the lamb chops, making sure to flip them over to cover them completely. Cover the dish with plastic wrap, and marinate the chops in the fridge for as little as 1 hour, or as long as overnight. The longer they can sit, the better! When you’re ready to grill these babies up, heat your grill to medium-high heat. You want to get these beautifully seared. 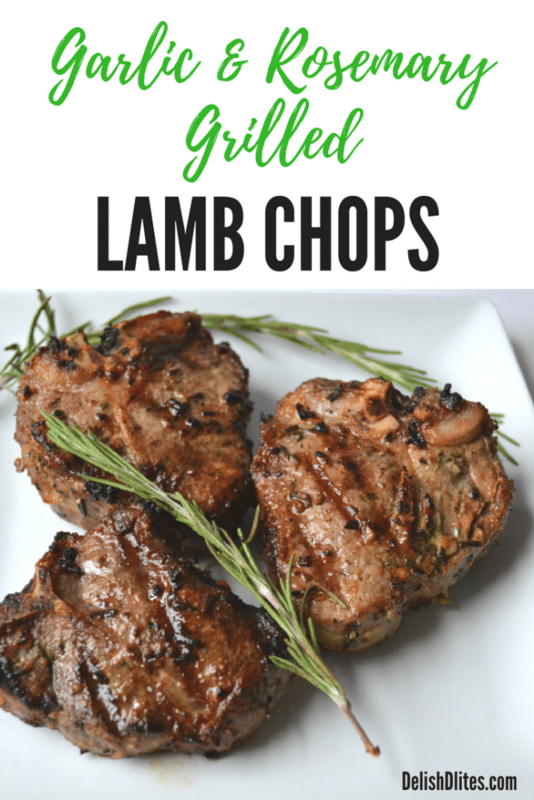 Grill the lamb chops on high heat for 2-3 minutes per side, then lower the heat to medium and let them finish cooking for another 5-6 minutes. When the lamb chops reach an internal temperature of 150 degrees F, it’s time to take them off. At that point, they’ll be about medium, which is how I like them. You definitely don’t want to cook these well done. There’s nothing worse than a dried out, over-cooked lamb chop. 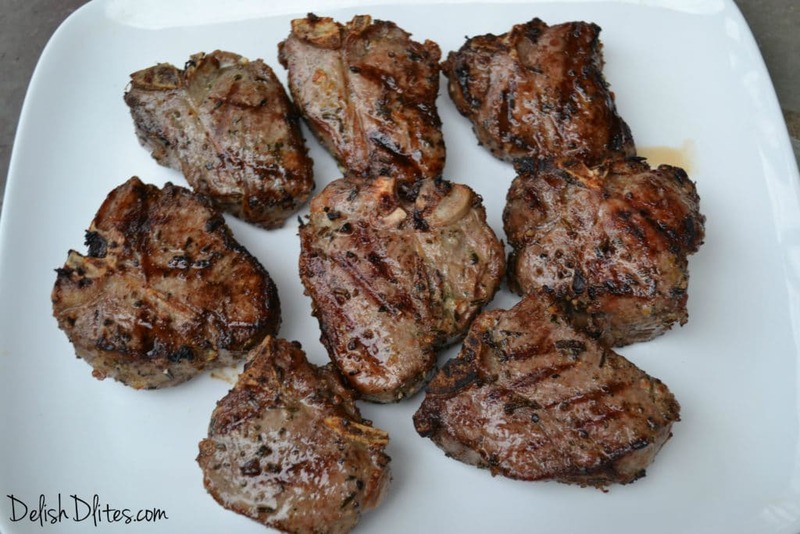 Place the cooked lamb chops on a plate, and cover with foil. Allow them to rest for 5 minutes before serving. I love serving grilled lamb chops with my Spring Orzo Salad with Asparagus and Peas, the combination is the perfect Spring plate. Combine the garlic, rosemary, salt, pepper, lemon zest and olive oil in a measuring cup. Pour the marinade over the lamb chops, making sure to flip them over to cover them completely. Cover and marinate the chops in the fridge for as little as 1 hour, or as long as overnight. Heat your grill to medium-high heat, then sear the lamb chops for 2-3 minutes, on each side. Lower the heat to medium then cook them for 5-6 minutes, or until the internal temperature reads 150 degrees F.
Allow the lamb chops to rest on a plate covered with alumnium foil for 5 minutes before serving. This recipe should serve 4-5 people. I fixed these chops tonite. They marinated about 24 hours. Out of sight! Very tender and moist. I followed your instructions to the letter. Thanks for a great recipe. This was a great recipe. I made it for dinner tonight. Loved it. 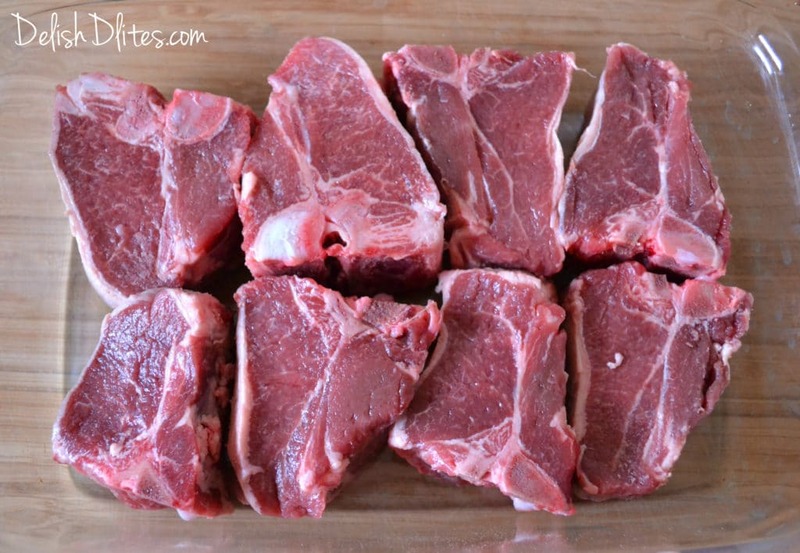 This is my go to recipe for lamb. Have made it many times and is always great. Thanks! Thanks Kris, this is one of my fave recipes for lamb as well! Going to try these tonight they are marinating as I type we are at a campground so I’m going to grill them I hope they taste as good as they look and sound! Thanks Denna! Hope you love it! I just used this recipe. Lucky I had garlic and rosemary in my garden. Mediterranian sea salt and fresh ground tellichook pepper to boot. Very tasty! Thank you Carl! And Happy Easter! YUM!!! Your pictures are everything! !